Park Forest, IL—(ENEWSPF)—November 12, 2012. One of the things that has always impressed me about Park Forest is the way the community always comes together to help out those in need. This was once again demonstrated during the Park Forest Rotary Club’s coat drive to help our homeless Veterans. More than 450 winter coats were donated by Park Foresters. The coats, along with donated gloves, hats and scarfs were distributed to the Veterans at the Stand Down Day event held on November 9th in Chicago. The Rotary Club wishes to thank everyone for their generosity. PSC will be honoring veterans and celebrating the first anniversary of the PSC Student Veterans Center during a special Veterans’ Day ceremony on Monday, November 12 from 11 a.m. to 1 p.m. The event will be held in the Auditorium of the Conference Center of PSC’s main campus in Chicago Heights. Among the features of the celebration will be a Color Guard and National Anthem presentation, as well as a special “Missing Man Table” and memorial display. An open house reception will be held in the Student Veterans Center. The event is free and open to the public. The Student Veterans Center at PSC serves as the central hub for the PSC veterans program. It is a dedicated area designated for veterans offering a mini-USO feel. It is a one-stop shop for veterans to connect and network with one another, as well as help them adjust to college life. Park Forest Village Hall will be closed on Monday, November 12 to commemorate the Veterans’ Day Holiday. On Saturday, December 1 at 11 a.m., Theatreworks USA will present ‘A Christmas Carol.’ ‘A Christmas Carol’ captures both the humorous and touching moments of the classic story with witty dialogue and fresh new songs. In this production, Dickens’ original message that the holiday season should be a “kind, forgiving, charitable time” still rings true. Tickets are $12 and $17. For additional information or to purchase tickets, visit www.centertickets.net or call the box office at 708-235-2222. On Saturday, December 8 at 1 p.m. and 5 p.m., Salt Creek Ballet will perform ‘The Nutcracker.’ This magical tale of young Clara and her holiday journey is a wonderful production for the entire family. Talented dancers and Tchaikovsky’s enchanting score – along with waltzing flowers, giant mice, and the Sugar Plum Fairy – delight all ages as a holiday tradition returns. Tickets range in price from $15 to $50. For additional information or to purchase tickets, visit www.centertickets.net or call the box office at 708-235-2222. On Tuesday, December 11 at 11 a.m., Beckie Menzie and Tom Michael will offer a unique blend of whimsy, nostalgia and unquestionable talent that translates into pure entertainment. Their imaginative musical twists on jazz, standards, contemporary pop, Broadway show tunes and film gems have won them audience and critical acclaim across the country and around the globe. Tickets are $10 and can be purchased online at www.freedomhall.org, by phone at 708-747-0580 or in-person at the Box Office. On Saturday, December 22 at 7:30 p.m. ‘Stars and Promises’ will embark on its twelfth year of celebrating Christmas in story and song. It’s theme for 2012 is ‘The Light of Christmas.’ ‘Stars and Promises’ has become a yearly tradition for many, returning to hear songs such as “Sing Joy,” “junkman’s Christmas,” and “Christmas Overture,” along with other favorites. Peter is joined by a group of superb musicians that include R. Scott Bryan, Mar Torlina, Mark Holland, Chris Walters, and Maggie Estes, plus state of the art production. Truly a night of inspiring music that will lift your spirit for the Holiday Season. Tickets are $28 and can be purchased online at www.freedomhall.org, by phone at 708-747-0580 or in-person at the Box Office. Just in time to share the spirit of the season, the GSU Choral Performance Class is presenting a free Holiday Concert on Saturday, December 1 at 2 p.m. in Sherman Recital Hall. The concert has old favorites, new standards, and sing-alongs; including songs of Hanukkah, music from South America, and jazz versions of traditional carols with accompanist Joyce Beer. The program will include favorites like ‘The Little Drummer Boy, and Peace on Earth’ as well as fun songs like ‘A Charlie Brown Christmas’ and ‘The Grinch.’ The event is free and open to the public. On Friday, November 16 from 10 a.m. to 2 p.m., the Rich Township Senior Center will hold its annual Holiday Bazaar and Bake Sale. The sale is located I DownTown Park Forest at 297 Liberty Drive. This sale is designated for homemade craft items and baked goods. Coffee and goodies will be sold throughout the day. Please join us for a day of shopping, eating and fellowship. For additional information, please call Sally Fuhrmann at 708-228-5040. Sertoma Centre, Inc. Invites you to attend its Volunteer Services’ Winter Wonderlands Holiday Bazaar & Shopping Extravaganza on Friday, December 7 from 9 a.m. to 2 p.m. at 4343 W. 123rd Street in Alsip. There will be tables of holiday gifts and handcrafted items. Rudolph’s Reindeer Boutique will feature gift items which have been selected from Sertoma Centre’s Good as New Thrift Store, including brand new houseware items. Shoppers will enjoy the main area of the Bazaar which includes a large number of holiday craft booths, many hand-made by individuals with disabilities. After a busy time shopping, stop by the North Pole Café to enjoy lunch, including: walking tacos, hot dogs, hamburgers, chips and drinks. Stop by Mrs. Clause’s Bake Shop for a sweet treat along with coffee and hot chocolate. Our elves will gift wrap any item that you purchase at the Bazaar free of charge. Funds raised from this event will support individuals with disabilities. For additional information about the event, or Sertoma Centre, call 708-730-6211. Once again the TCAS will be offering original Christmas cards in a variety of designs. Samples of the cars will be on display and a few will be for sale at the TCAS programs on November 7 and December 6 at the Park Forest Library, 400 Lakewood Boulevard. Cards may be ordered at the programs or by calling Aura Duke at 708-748-6407. All cards are in bright Christmas colors and sell for $7 for a set of 12. Envelopes are included. Card sales help support TCAS grants and other environmental projects. On Saturday, December 1 from noon to 2 p.m., those 12 and older can start their holiday season off right by giving to others at Thorn Creek Nature Center’s annual food drive and music event. Savor all-you-can-eat homemade soup while listening to seasonal musical selections by popular area performers. There is a fee of $10 per person but if you bring 1 bag of groceries, the fee will be waived. All donations and proceeds will be given to the Rich Township Food Pantry. Registration is required by Thursday, November 29. For additional information or to register, call 708-747-6320. Inspired by the Thorn Creek Nature Center, ‘Prairie Chapel,’ is an original graphite drawing by Marikay Peter Witlock. Through a generous donation by the artists, the ‘Prairie Chapel’ print is available, with a donation to Friends of Thorn Creek Woods of $75 or more. 100% of donated dollars will benefit Thorn Creek Nature Preserve. The ‘Prairie Chapel’ print is a limited edition of 300 signed and numbered prints, with image size of 13” x 17” and finished size of 18” x 21.” For additional information, call 708-747-6320. To view a framed ‘Prairie Chapel’ print, visit Thorn Creek Nature Center Friday through Sunday from noon to 4 p.m.
On Thursday, December 6, the bus will depart from Park Forest Village Hall at 10:15 a.m. for Drury Lane in Oakbrook Terrace for lunch and the show ‘Singing’ in the Rain.’ Set in glitzy, glamorous Hollywood in the 1920s, ‘Singin’ in the Rain’ is based on the 1954 film starring Gene Kelly, Debbie Reynolds and Donald O’Connor. This lighthearted and funny play features exhilarating dance numbers, toe tapping score and an effervescent love story. Named by the American Film Institute as the #1 Greatest Movie Musical of all time, this joyous show will leave you with a ‘glorious feeling’ wishing it would down pour so you can go singin’ and dancin’ in the rain. A delightful sit down luncheon will be provided before the matinee performance. Your lunch options are Roast Sirloin or Stuffed Chicken Breast. A vegetarian option is also available. Lunch also includes vegetables, potato, bread and dessert. Please mention meal preference when registering. Tickets are $67 per person and include round-trip transportation, lunch and ticket to the play. The bus will return to Village Hall at approximately 5:15 p.m. Registration deadline is Monday, November 19. Tickets can be purchased in person at the Recreation and Parks Department of Park Forest Village Hall or by phone with a credit card at 708-748-2005. Please mention Code: 348500-1. The Park Forest Public Library will be closed on Monday, November 12 in observance of the Veterans’ Day Holiday. Tuesday, November 13 at 10:30 a.m. – Preschool Power. For children ages 3 to 5 years. During this 30-minute session, preschoolers will share stories, songs, music and age-appropriate books. Tuesday, November 13 at 4 p.m. – Learn to Use Your Kindle. Bring in your device to learn the basics of using it and accessing the library’s digital titles. Registration required. Tuesday, November 13 at 6:30 p.m. — Pajama Time. For children ages 5-10. Wear your pajamas & come join us for stories, crafts & games. Tuesday, November 13 at 6:30 p.m. – Tuesdays Full of Blues: History of Blues in Chicago. History of Chicago Blues: Ninety minutes of rare performances of Muddy Waters, J.B. Hutto, Buddy Guy, and more. Wednesday, November 13 at 10:30 a.m. – Art Club (Ages 2 -3). Do you love art? Well this club is for you and all creative kids are welcome. Come on in and join the club where you can discover new books, make wonderful art and meet new friends. Wednesday, November 13 at 11:30 a.m. – Art Club (Ages 3 – 5). Do you love art? Well this club is for you and all creative kids are welcome. Come on in and join the club where you can discover new books, make wonderful art and meet new friends. Wednesday, November 13 at 4 p.m. – Art Club (Grades Pre-K – 3). Do you love art? Well this club is for you and all creative kids are welcome. Come on in and join the club where you can discover new books, make wonderful art and meet new friends. Wednesday, November 13 at 4 p.m. – Basic Mouse Practice. The first ten people to come may attend these practice sessions. There is no registration for the practice sessions. Wednesday, November 13 at 5 p.m. – Art Club (Grades 4 – 8). Do you love art? Well this club is for you and all creative kids are welcome. Come on in and join the club where you can discover new books, make wonderful art and meet new friends. Thursday, November 14 at 10:30 a.m. – Mother Goose Time. For babies ages 6 to 23 months accompanied by a parent or caregiver. During this 30-minute session, babies and their parents will share nursery rhymes, finger plays, songs, music and age-appropriate books. Thursday, November 14 at 11 a.m. – Tales for Two. For toddlers ages 2 to 3 years accompanied by a parent or caregiver. During this 30-minute session, babies and their parents will share stories, songs, music and age-appropriate books. Thursday, November 13 at 1 p.m. — Masters of Photography: Alfred Eisenstaedt. Join us as we view and discuss that work of the great photographers of the past and present. You are encouraged to bring a photograph or two of your own work to share with the other photo enthusiasts. Alfred Eisenstaedt: A master of the candid photograph. Called "the father of photojournalism," Eisenstaedt perfected certain techniques for capturing the spontaneous moment that has given us some of our most enduring photographic images. This exhibit showcases many of Eisenstaedt’s most famous photographs along with some newly discovered works. Friday, November 14 at 3 p.m. – Wii Game Day. Meet up with your friends at the Park Forest Public Library for some gaming fun. The library will provide some games — YOU bring a friend. If you have a favorite game, bring it along to teach and share. Join us after school as we take a little time to have some fun! Grades K-8. Saturday, November 15 — 11:30 a.m. through 4 p.m. – Thanksgiving Film Fest. Enjoy Thanksgiving films and take home crafts that show thanks and appreciation the classic way. Charlie Brown and his friends will delight all ages during this great film fest. All Ages. Saturday, November 15 at 2 p.m. – Best of the Web. Find out about some of the best web sites around like Pinterest and others! For additional information or to register for programs, please call 708-748-3731. On Thursday November 1 at 10:30 a.m. the Potpourri of Lectures Series continues with “Does Freud Still Matter in 2012?” by Dr. Karen Pedigo. The lecture will be held in the Library’s Ringering Room. Please plan to join us for some enlightening conversation. Light refreshments are served. On Tuesday, November 13 at 11 a.m., Mike Toomey will take you on a journey back into 60s and 70s TV land. In the show, Mike relates how his childhood television watching has shaped his adult life, while sharing his unique observations about his favorite programs and their characters. This multi-media presentation features over 300 slides and sound bytes plus Toomey’s dead-on impersonations of your favorite RV celebrities. Tickets are $12 and can be purchased online at www.freedomhall.org, by phone at 708-747-0580 or in-person at the Box Office. "American Choral Music Today," May 19, 2013. Season tickets are available for $40. For more information on the Singers or Grande Prairie Choral Arts’ Children’s Choral Workshop, call 708-481-8684, e-mail at [email protected], or visit: www.grandeprairiechoral.org. Annabelle Gould’s print of the Park Forest Plaza is available for sale at the Park Forest House Museum, 141 Forest Boulevard. The vibrant print is from an original watercolor, showing kids and their moms in the Park Forest Plaza, in front of the old Holiday Theatre and Golden Hanger Shop. The print can be purchased at the House Museum during normal hours of operation on Wednesdays and Saturdays or through the Society’s online store on their website at www.parkforesthistory.org. Prints are $15 each. Online purchases also required an additional $6 fee for postage and handling. For additional information on other items for sale by the Society, visit www.parkforesthistory.org. The 1950s Park Forest House Museum, 141 Forest Boulevard, is ready for Thanksgiving visitors. Vintage decorations will be on display through November 30. The museum is open Wednesdays and Saturdays from 10:30 a.m. to 3:30 p.m. or for small groups by appointment. Donation is Adults- $5; 12 & under free with a paying adult. Group tours may be subject to special pricing. The tour is free with the purchase of a Marshall Field’s Park Forest Store brick at 1 for $15; 2 for $25. Convenient, free, street parking is available right outside the front door. The museum is operated by the Park Forest Historical Society and sponsored by Andrew Brown of Central Park Townhomes. For additional information, visit www.parkforesthistory.org. GSU will present ‘Aspects of the African American Experience: Chicago Since the Civil Rights Era,’ a panel discussion on Tuesday, November 13 at 5 p.m. in Engbretson Hall on GSU’s main campus. The discussion is free and open to the public. Professor David Hamilton Golland will moderate the discussion, being presented in conjunction with the upcoming performance of “Speaking in Tongues: The Chronicles of Babel’ (see information about this event below). The panel discussion is sponsored by the GSU Center for Performing Arts and Office of Student Life. On Saturday, November 17 at 8 p.m., MPAACT Productions will present ‘Speaking in Tongues: The Chronicles of Babel.’ Culled from hours of interviews, this powerful production explores the oral histories of an extended family living in Chicago’s now-demolished Washington Park housing project. Three generations come together to chronicle the complex story of their lives and a uniquely American social experiment. Tickets are $30. For additional information or to purchase tickets, visit www.centertickets.net or call the box office at 708-235-2222. Tickets are now on sale for the Drama Group’s production of ’12 Angry Men’ that will take place November 30 through December 9. On a hot summer day jurors are asked to deliberate on a case involving a young man accused of killing his father. An initial vote is taken, and there are 11 votes for guilty and one vote for not guilty. One man stands alone against the others’ preconceptions, bias and prejudice. ’12 Angry Men’ has been described as “a classic drama; a riveting study of courage, bias and the American legal system.” Tickets are $19 for adults, $18 for seniors and $15 for students with identification. Group discount rates are also available. For additional information, ticket prices, or to purchase tickets, call 708-755-3444 or visit www.dramagroup.org. PSC’s Christopher Art Gallery is hosting ‘Natural Connections,’ featuring artists Donna June Katz, Connie Wolfe, Jane Fulton Alt, and Vivian Visser. The exhibit runs from Monday, November 12 through Thursday, December 13. An opening reception will be held on Thursday, November 14 from 4:30 p.m. to 7:30 p.m. in the Gallery. Both the exhibit and reception are free and open to the public. For additional information about the exhibit or gallery hours, call 708-709-3636 or visit www.prairiestate.edu/artgallery/naturalconnections. Union Street Gallery Collaborative Arts Guild is composed of over 20 artists of all levels living in the south suburbs of Chicago. The Guild’s purpose is to serve the arts and exhibiting needs of local artists and to foster artistic and professional development and growth. Join us for this beautiful and exciting exhibit of work by the Guild Members through December 8. An opening reception will be held on Friday, November 16 from 6 p.m. to 9 p.m. Both the exhibit and reception are free and open to the public. For additional information or gallery hours, call 815-464-8818 or visit www.monkeymindartstudio.com. In light of the ongoing war in Afghanistan and the rising need for mental health care for returning veterans, the National Veterans Art Museum (NVAM) is proud to hold its third annual IN WAR series in its new location at 4041 N. Milwaukee Avenue in Chicago. The third annual INWAR series examines intergenerational trauma: the passing of mass traumas from one generation to the next. Trauma takes a profound psychological and physical toll on survivors that has ramifications for decades. For additional information about the exhibit or museum hours, visit: www.nvam.org. The remaining stock of rain barrels are being sold by the Park Forest Environment Commission for the reduced price of $30. The sale price is for the remaining colors in stock. If you wish to purchase a rain barrel, stop by the Recreations & Parks desk at Park Forest Village Hall, 350 Victory Drive. The Sauk-Calumet Group of the Illinois Sierra Club will hold its monthly meeting On Monday, November 12 at 7:15 p.m. at the Olympia Fields Village Hall, 20701 Governors Highway (go east on 207th Street from Governors Highway and look for the entrance on the left). Photographer Bob Moffitt will present this month’s program entitled “Star Trails Through the Night Sky” which will feature time lapse movies and photos of star trails through the moonlit night sky that were taken during numerous trips to Arches National Park and other southwest locations. The meeting is free and open to the public. People who enjoy outdoor activities, or who want to protect the environment, or who wish to preserve the world I which we live, are encouraged to attend. For additional information, please e-mail Patrick Coffey, Publicity Chari at [email protected]. On Tuesday, November 13 at 7 p.m. in GSU’s E-lounge, you can learn how to earn elementary or secondary (biology, chemistry, or mathematics) teacher certification and secure a teaching position through GSU’s Alternative Certification Program. This program offers a way to earn a teaching certificate and embark on a new, rewarding career in education. The Teacher Quality Partnership (TQP) leads to a Masters of Art in Teaching (MAT) in Urban Teacher Education in elementary or secondary (biology, chemistry, or mathematics). TQP provides an opportunity to co-teach for a year with a certified teacher, a $30,000 stipend and a 25 percent reduction in tuition. TQP is made possible by a grant from the U.S. Department of Education. This program is open to college graduates with a bachelor’s degree. The application deadline for the Alternative Certification program beginning Spring 2013 is November 15, 2012. For additional information, call 708-534-4399 or visit www.govst.edu/altcert. Computer Network training is now available at GSU this fall. The Computer Networking Series enables participants to gain career enhancing skills through non-credit courses. Students will receive training preparing them for certifications in Comptia’s A+ and Cisco’s Certified Network Administration. Courses may be taken individually or in sequence, depending on individual career and education goals. Course topics include Computer Hardware, Networking Fundamentals, Networking Switches and Routing, Wireless Networking, Windows Seven Operating System, and Windows Server Operating System. For additional information about the Computer Networking Series, contact the School of Continuing Education at 708-534-4099. The League of Women Voters of the Park Forest Area will host an educational meeting on the topic of Health Care on Wednesday, November 14 at 7 p.m. at the Park Forest Public Library, 400 Lakewood Boulevard. Senator Toi Hutchinson, Illinois District 40, will speak about the state level action to implement the Affordable Care Act. She will talk about the state legislature’s interest and progress to date in implementing the provisions relating to the establishment of State Health Insurance Exchanges, which are to provide access to affordable health insurance to individuals, families and small businesses. She will also talk about the possibility of the expansion of Medicaid program as permitted in the Affordable Care Act, and the status of the current Illinois Medicaid program, and what changes have been made or are likely to be made due to the financial status of the state budget. The meeting is free and open to the public and anyone interested in the topic is encouraged to attend to learn more about this important issue. For additional information about the program or membership in the League, please contact Theresa Settles at 708-748-8664. Each Wednesday through November 14, those 11 through adult can follow the forest’s fall changes, enjoy light exercise and experience nature firsthand on Thorn Creek’s autumn trails. The walk will take place from 7:30 a.m. to 9 a.m. each week. Trails can be wet or muddy, so please wear sturdy shoes. The terrain is moderate. Registration is not required. The event is free and open to the public. For additional information, call 708-747-6320. Join Park Forest’s American Legion Post 1198 for fish, shrimp, wings, beef and appetizers on Friday, September 28 beginning at 6 p.m. Carry outs are available. For additional information, call Jesse Rodriguez at 708-481-3055. 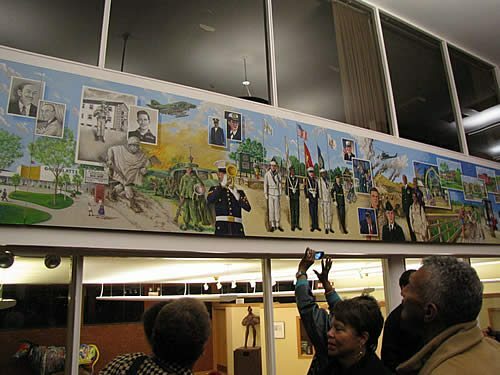 The Park Forest Historical Society will be accepting nominations for the Park Forest Hall of Fame until December 15, 2012. The official form, which must accompany the nomination, is available at the Park Forest Public Library, 400 Lakewood Boulevard, the 1950s Park Forest House Museum, 141 Forest Boulevard on Wednesdays and Saturdays from 10:30 a.m. to 3:30 p.m., the lobby of Park Forest Village Hall, 350 Victory Drive, the Archive Office, 227 Monee Road on Fridays from 10 a.m. to 12 noon, or on the Society’s website, www.parkforesthistory.org. Nominations may be mailed to the Historical Society or turned in at the Library in person. 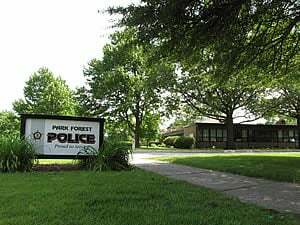 To be eligible for the Hall of Fame, persons nominated must have made substantial, beneficial and consistent contributions to the life and well-being of Park Forest over a considerable span of time. Nominees may now live elsewhere, or be deceased. Individuals or couples may be nominated. The person making the nomination does not have to live in Park Forest, and does not have to be a member of the society. Inductees will be chosen from among the eligible nominees by the Park Forest Historical Society, and announced early in 2013. The induction ceremony will be held at Freedom Hall on April 14, 2013. For additional information, call Michael Gans at 708-305-3308. Smart Tracks Family Center, Inc. will hold its 1st Annual Fundraiser Winter Ball on Friday, December 7 from 7 p.m. to 11 p.m. at the VFW Post 311 Desvignes Hall, 22341 Governors Highway, Richton Park. An evening of fun, fashions, music, dancing, dinner and raffles is planned. Tickets are $30 each in advance and $35 at the door. There will be a cash bar. Dress attire is semi-formal. All proceeds will benefit Technology Assistance Program to provide educational technology training to the south suburban communities. For additional information or to purchase tickets, call Denise Richardson at 708-283-0900. On Thursday, November 15 from 10 a.m. to 7 p.m. in the Hall of Governors, the GSU Civil Service Senate is sponsoring the GSU Annual Fall Vendor Fair. The shoppers’ paradise will feature arts and crafts, perfect gifts, and unique creations. The event is free and open to the public. For additional information, call 708-235-7559. "Operation Hero Miles" collects unused frequent flyer miles to help military families visit service members who were injured in Iraq or Afghanistan and are recovering in military hospitals around the world. Airline partners are: AirTran, Alaska Airlines, American, Frontier, Midwest, Northwest, United, and US Airways. To donate airline miles, visit www.FisherHouse.org. Do you have old televisions, computers, video games or other electronics or household appliances that need to be recycled? Want to know how to properly dispose of old or unused medication? Click on the "Recycling" icon found on the top of eNews Park Forest and you will find useful information on proper recycling/disposal that will not only be good for the environment, but in some cases, earn you a few dollars as well. Sources: Park Forest 2012 Autumn Recreation Programs & More Brochure, Park Forest ‘Discover’ magazine, Rich Township Report, Park Forest Historical Society, Village of Park Forest, Governors State University, Prairie State College, Center for Performing Arts, South Suburban Family Shelter, Park Forest Historical Society, Illinois Philharmonic Orchestra, Illinois Theatre Center, Sertoma Centre, Inc., Union Street Gallery, Monkey Mind Art Studio, Thorn Creek Audubon Society, and Tall Grass Arts Association websites.